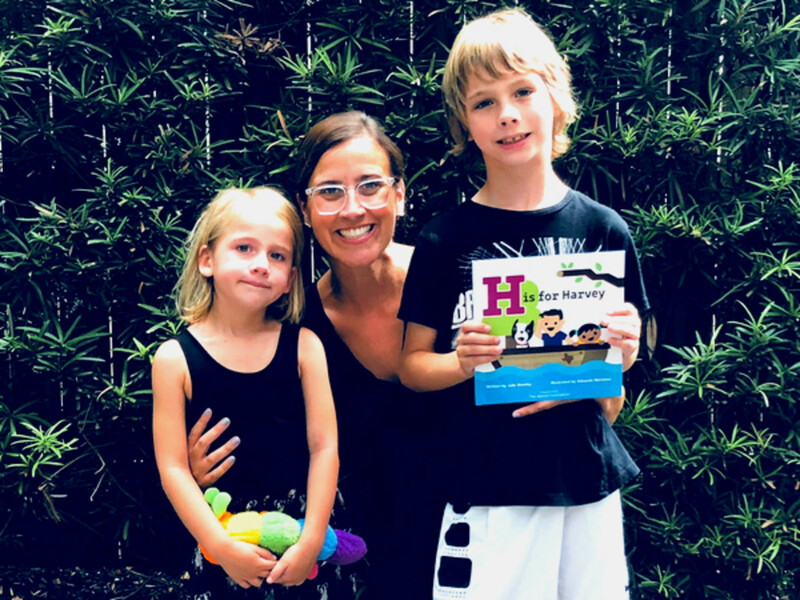 As we reflect on the one-year anniversary of Hurricane Harvey, one local mom is releasing a children's book about the devastating storm. West University Place mom Julie Beasley is hoping to help kids better understand the hurricane and help those still trying to rebuild. Beasley watched on television and social media as Harvey flooded Houston's neighborhoods and ruined lives. Though her home and family stayed dry and safe, she was shocked and sad to see so many of her neighbors suffering. In those scary moments, she decided to write a book. "I'm just noticing all these 'H' words going on during Harvey: Houston, helicopters, humanity, heroes," she says. "I was inspired, thinking, 'That would make a really a good kids book.'" The mother of two had moved from New York a couple of years ago and had never written a book before. But she wanted to help her children better understand the natural disaster. H is for Harvey not only tells the story of Harvey's fury, but of the cooperation and strength of her new hometown in its aftermath. With colorful illustrations by Houston artist Eduardo Martinez, the book is geared to elementary-aged kids, and provides facts about the storm itself, as well as a message of hope and healing. Beasley will be hosting a book signing at Gallery Furniture on August 25; and proceeds will go to the Astros Foundation. You can find more information at the book's official site. For more on this and other Hurricane Harvey stories, including video, visit our content partner ABC13.